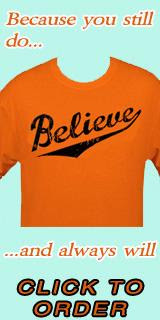 Last night, the Orioles saw their winning streak end as the Oakland Athletics defeated them, 4-2. Well, for the umpteenth time this season, a lack of offense (despite seven walks) and not getting runs in with on bases (they were 2-for-11 with men in scoring position), along with a huge gaffes by Ty Wigginton and Miguel Tejada in the field did Baltimore in. 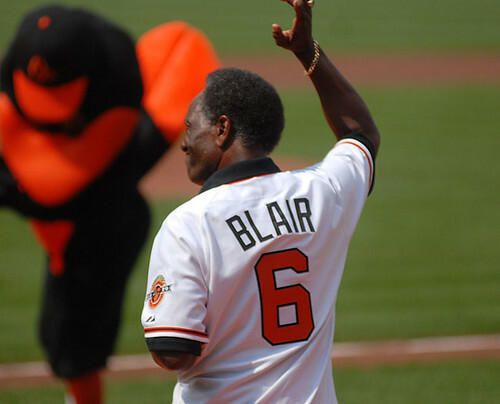 The Orioles could not recapture the magic from over the weekend facing a swooning Nationals team against Oakland. Oriole pitcher Brian Matusz pitched well, but earned his 9th loss of the season as he went 6 1/3 innings and allowed three runs on seven hits. Koji Uehara made his return last night and pitched the ninth inning, allowing in a run. The Athletics played a relatively solid game and Vin Mazzaro (despite being very wild on the mound) got the win, going six innings and allowing one run; meanwhile, closer Andrew Bailey got his 15th save of the season. 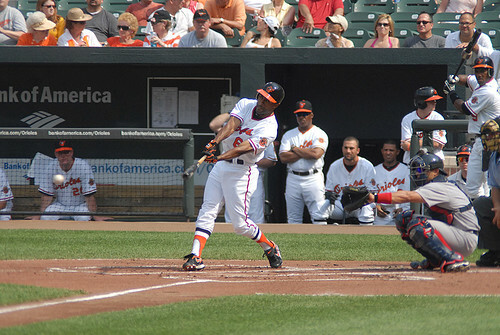 Photos from Saturday's game against the Washington Nationals where they won, 6-5. 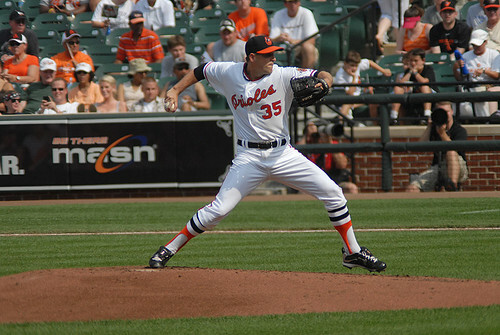 Seriously, the Baltimore Orioles should consider using these throwback uniforms during the regular season at least on a part-time basis (Sundays, special events, etc.). There seems to be a certain nostalgia, class, and a look about the old throwbacks that the current uniforms just don't have. From the cartoon bird caps, to the Orioles script, down the to stirrups, what the players wore on Saturday exhibits a certain amount of class and a unique, old-school look. I also enjoyed seeing the Washington Nationals in the old Senators retro uniforms, although they were technically the Montreal Expos (in the their third year of existence as an expansion team) back in 1970. Well, at least they are starting to show signs of life and over the weekend they did the little things to sweep the Nationals. In addition, the Orioles got some nice performances from their bullpen especially Jason Berken (who might merit some All-Star consideration, but middle/long relievers are often overlooked), Mark Hendrickson, David Hernandez and Alfredo Simon. I'm going to go off the beaten path and say that the Nationals helped out the Orioles big-time by giving away three games which they had the lead; however, at this point, who cares how they did it, it matters that they stopped the losing temporarily. Well, I am not going to say the win streak means much right now considering the Orioles are firmly entrenched in last place in the American League East. The bats - thankfully - are starting come alive, and Adam Jones's average has snuck above .270, Wieters is hitting - finally, Miggy's average is now .287 and Scott Moore has come through with clutch hits at the right time. The Orioles won their, season-high, fourth game in a row today with a 4-3 win over the Washington Nationals. What made this sweep so great was that all three games were come-from-behind victories. The Orioles overcame 6-0, 5-0 and 3-0 deficits to win each game by one run in the late innings. 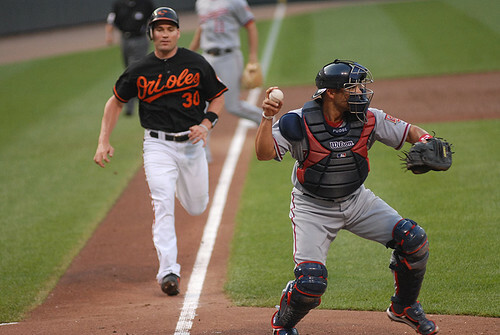 Today the Orioles were again aided by the Nats' major-league-worst defense. 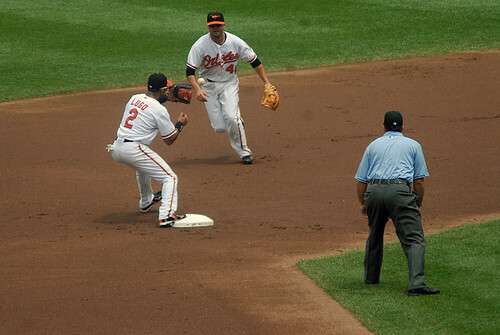 Adam Kennedy attempted an ill-advised attempt at a double play in the fifth inning which would lead to Matt Wieters to cross the plate and score the tying run. 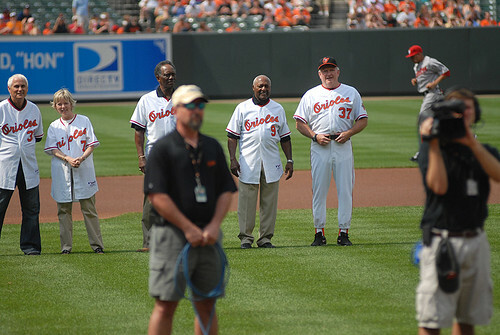 The Orioles were no aces on the the field themselves today. No errors were charged but Adam Jones got eaten-up by a hooking line drive hit right at him in the third inning. The misplay would allow Washington left-fielder Josh Willingham an RBI triple. Willingham would later score on Roger Bernadina's two-run shot off of Jeremy Guthrie. Guthrie had another solid, if unremarkable, outing. Guts went six innings giving up three runs, keeping the Orioles in the game and never letting things get out of hand. The Oroles bullpen took care of the rest with three innings of scoreless, drama-free ball. 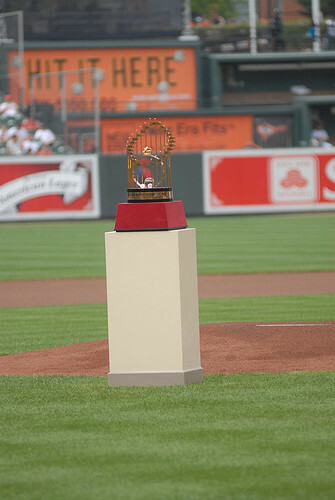 The Birds' pen had a fantastic weekend playing pitching 12 innings and not giving up a single run. 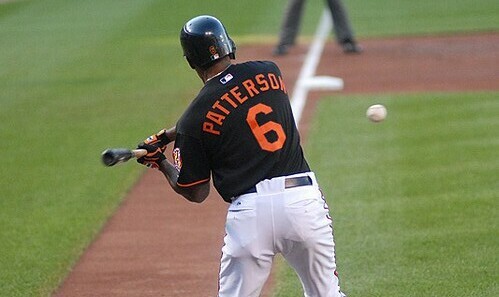 Jones redeemed himself with an RBI double during the Orioles fifth inning rally. After a Wieters single Jones would score on a Scott Moore RBI single. 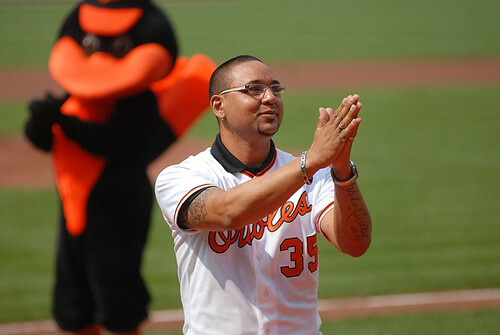 The Orioles' big heroes of the day were Miguel Tejada who roped a two-out single to score the game-winning run in the bottom of the eighth and David Hernandez for his work in the top of the inning. Hernandez came into the game with one out and two on relieving Will Ohman and David responded in one of the most impressive displays I have seen this year. David threw six pitches, and got two stirke-outs to end the inning. Hernandez blew six fastballs past Josh Willingham and Roger Bernadina to put an exclamation point on a great weekend for the pen. 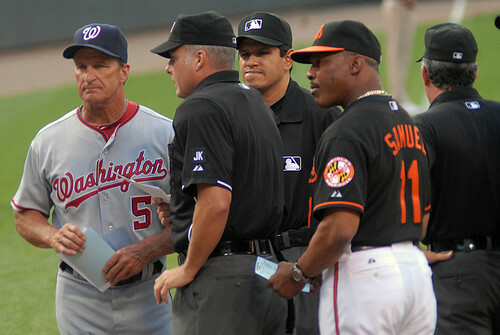 It was another go-around in the annual ‘Battle of the Beltways’ interleague series; however, on Friday both the Baltimore Orioles and Washington Nationals would play game that would be remembered for a while by their respective fan bases in a crazy, thrilling 3-hour, 53 minute marathon with 43,484 in attendance. Only one team would win and in the end, the defense of the Nationals would undo a thrilling game and the Baltimore Orioles would come back from six runs down and earn a 7-6 victory in the bottom of the ninth inning as Jake Fox scored the winning run. 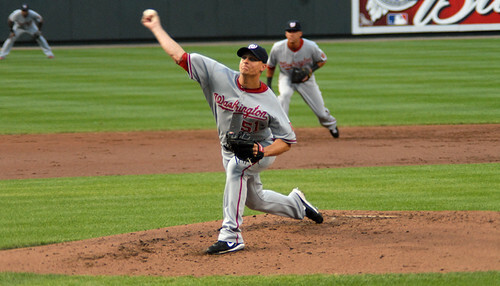 Errors – four in total – doomed the Nationals and the final one was fatal on the night. With the game tied at six with one out in the ninth inning, Baltimore had runners at first and second base. Julio Lugo – who played second base for the Orioles on the evening – grounded out to shortstop Ian Desmond, who then flipped the ball to Cristian Guzman to start the double play hopefully end the frame. Guzman’s throw to short would end up short to first base and the ball would sneak under first baseman Adam Dunn’s glove for a devastating error. That would allow Fox to score and send Baltimore (by far the worst team in baseball) to only their 21st win in 73 games. Perhaps Washington manager Jim Riggleman did Baltimore a favor by leaving reliever Tyler Clippard in the game way too long. But more importantly, I was there! My first live win of the season, Ugh, I swear it feels as though a large weight has been lifted off my shoulders. It was a great night all around. 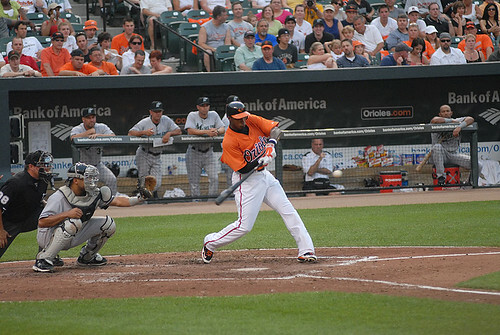 Adam Jones continued his turn-around with a 3-5 night including a home run, and two RBI. 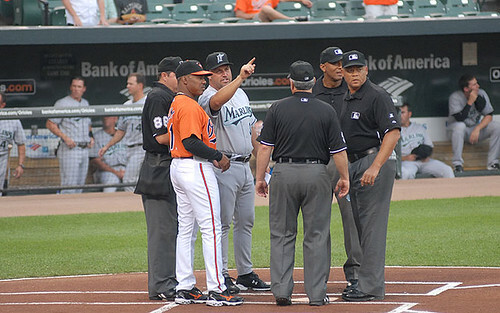 Miguel Tejada was the star of the evening with a 4-hit 4RBI night including a three-run homer as the Orioles cruised to a 11-5 win over the Marlins. People have been riding Jones all year, with reason, but i think it is absolutely great to see how he has turned things around so far. His batting average is up over .270 for the first time since April, his OPS is up over 700 and he is driving the ball. Yes, Adam still needs to work the count more and walk more often and his OBP is still absurdly low, but I think that will come with time. Right now I just want to sit back and watch Adam continue this nice streak, and hope it continues for another month or so. 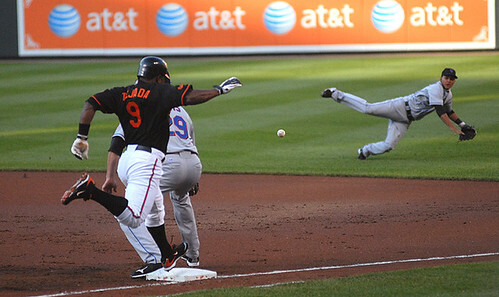 The Orioles last night continued their slide as they dropped their third straight game, losing to the Marlins, 7-5. They are now an incredulous 19-52 on the season and 25.5 games back. It’s not even July yet and they are that far back in the divisional race (not that it matters). Matusz took the loss on Wednesday night as got battered around a bit during points in the game. Again, the Orioles took an early lead (much like in Sunday’s game against San Diego), but their offense could not build on it, nor could their pitcher even hold it. Florida pitcher Ricky Nolasco was not all that great either, but he got the win. Leo Nunez got the save. Baltimore took a 4-0 lead in the second inning thanks to homers by Luke Scott and Adam Jones; however, the Marlins to used to long ball to tie the game at 4 in the third inning. Florida broke the tie in the sixth as they got doubles from Ronny Paulino and Chris Coughlan and that sent Matusz to the showers. The Orioles scored again in the eighth off a Patterson RBI-infield-single; however, the Marlins finished off the game in the 9th as they got an insurance run off a shaky Alfredo Simon. 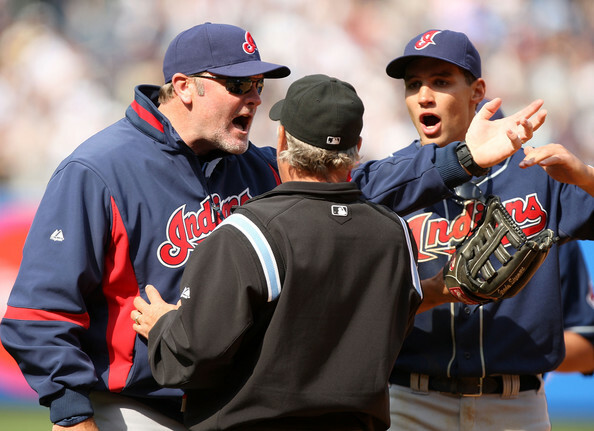 The moment that irked me throughout the evening was in the eighth inning. With the Orioles down by two, Matt Wieters … bunts. Why? I know it’s situational baseball strategy, but I would not picture him bunting and furthermore, his attempt at it was poor. Went out to the Yard last night since I was in the Columbia area doing business and wanted to see the Marlins for a bit last night. The Orioles lost their 51st game of the year last night, 10-4, to the Florida Marlins. Jeremy Guthrie was shaky at times during his outing and took the loss - his ninth of the season. The Marlins did their damage in the fourth and in the last third of the game, where they touched up the Oriole bullpen for another six runs. The underachieving, but young and talented Marlins team beat up the Orioles and several players - star Hanley Ramirez, rookie Mike Stanton, Gaby Sanchez and Wes Helms - all had productive nights at the plate. Plus, every Marlin starter had a hit. Matt Wieters had a big three run homer in the second inning to bring Baltimore within one of the lead, 4-3; however, they would not do much else. 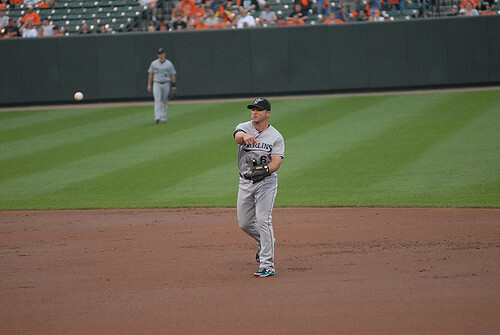 The Orioles' newest addition, Jake Fox, made his debut in the seventh inning as a pinch hitter. At this point, the addition of Fox is a nice insurance policy in case Wigginton gets dealt and also gives much more depth on the team. Fox can play the corner outfield positions, corner infield positions, and also go behind the plate as a catcher. Furthermore, he's a former Cub ... and MacPhail seems to like his former North Side Chicago picks. The Orioles made a trade today, in an attempt to add some depth to their infield the Birds acquired Jake Fox from the Oakland Athletics for minor league pitcher Ross Wolf. Fox is a utility guy mostly, but this pretty much spells the end for Garrett Atkins. I would look for Fox to start taking reps at second and short with Wigginton taking most of the starts at first. Fox made a pinch hitting appearance in the seventh inning of tonight's loss ot the Marlins. He hit a deep fly ball that was just a couple feet short of a three-run homerun. I swear it was the most applause I have heard for a fly out. The Orioles' latest loss followed the same script as many others; Guthrie was good, but not great, the offense sputtered but kept it a little interesting and as always the Orioles were unable to get a key hit when needed. Jake Arrieta on Sunday could not find the magic that led him to win his first two major starts, and in the end, the Orioles lost their 50th game in 69 chances at the hands of the San Diego Padres, 9-4. The Padres started off the game on a slippery note, allowing four un-earned runs allowing the Orioles to take a 4-0 lead in the opening frame; however, even an early head start could not help Arrieta. At the end of the day, Arrieta – who beat the Yankees and Giants in succession – only lasted three innings and gave up six runs. The weekend out in beautiful San Diego was yet another painful experience as the Orioles had a chance for a rare series victory, but they absolutely blew a nice cushion. By the third inning on Sunday, the Orioles were out of the game and seemingly had no chance against Jon Garland – who won his seventh game of the season, despite his team’s disastrous start. Crazy enough, after the first inning, the Orioles looked like a completely different team, only mustering two hits the rest of game and unable to produce any offense whatsoever. If there’s any positive news to take from Sunday for Baltimore, Matt Wieters may have started to finally show some life in June as he ripped a three-run double in the first inning. 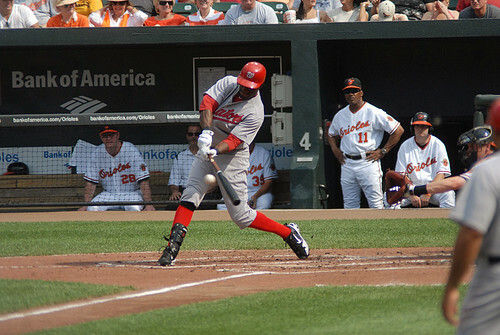 In addition, Adam Jones went 2-for-4 with an RBI. AMAZINGLY, Baltimore has not won a road series all season. 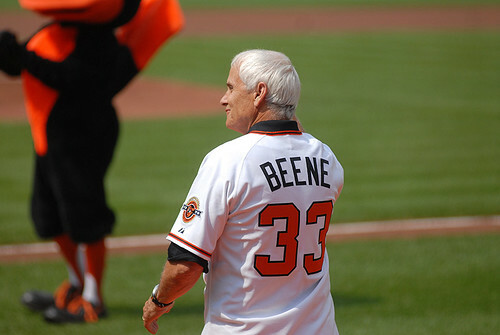 Do the Orioles have a plan for a new manager? According to Ken Rosenthal, over at FoxSports.com, the Orioles may have a plan for their new manager going into next year. The 2010 Orioles are currently stuck in a season that feels more like an absinthe-induced waking nightmare than reality. 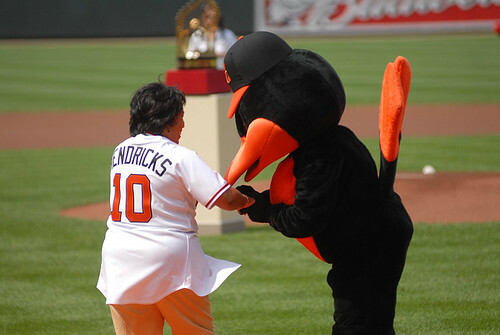 The 2010 Orioles are proof that God does not exist; because no right and just deity would allow this to happen. The 2010 Orioles are - um - very very bad. I am running out of literary allusions and loquacious, semi-colon riddled, sentences to describe it and the 2010 soundtracks has gone from upbeat indie-rock to Tom Waits and Bauhaus. The Orioles, however, are looking to the future with their managerial search. As names like Showalter, Valentine and Melvin swirl about the Warehouse a plan may be emerging something that may be pretty controversial. As Rosenthal reports everyone in the organization is preparing for a massive shakeup and the likelihood of that happening in the middle of a season is next-to-nothing but that won't stop the Orioles from finding a manager in the near-term. The supposed plan is to hire the 2011 manager and have them work as a special consultant to General Manager Andy MacPhail evaluating every aspect of the of the organization from the major league team to the development strategy in the minors. 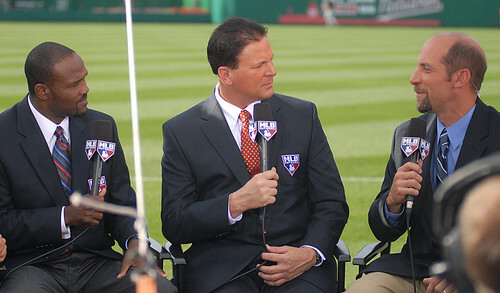 Current manager Juan Samuel would no-longer be the manager next year, if he is even in the organization, and the new manager would be given the opportunity to implement his changes. Last night in San Diego, the Orioles fell to a MLB worst 18-49 as the Padres’ Adrian Gonzalez drove in the winning run in the bottom of the ninth inning off David Hernandez and lost, 3-2. With Baltimore up 2-1 in the bottom of the ninth, Hernandez just looked awful as he had absolutely no command and didn’t seem to have his best stuff. San Diego would jump on him to the tune of a lead-off walk, and seemingly hit-after-hit (for in the frame) which enabled the tying run to come in before deciding Gonzalez’s hit. Heath Bell earned the win for San Diego on the mound, while Hernandez took the loss. 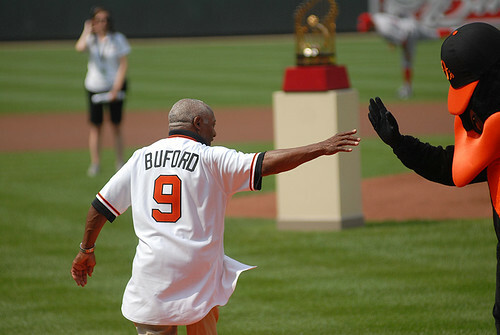 The Orioles did rally in the top of the 9th inning and broke open a 1-1 tie with a Julio Lugo RBI-single. Brian Matusz once again had another solid start, going six innings and giving up a run. He would strike out four. In fact, he could have conceivably won the game on Friday night if Adam Jones hadn’t seriously misplayed a ball in the 6th inning that allowed Adrian Gonzalez to double and plate in a run. Also, the Orioles cost themselves another run due to an interference play by Cesar Izturis in the fifth inning. At this point, maybe Nick Markakis was right in his statements on Thursday. Once again, the offense could not get anything done and Baltimore paid for it again on Friday and throughout the season. Once again on Wednesday, the Orioles lost again, 6-3 to the San Francisco Giants. Jeremy Guthrie took his 8th loss of the season as he went six innings and gave up four runs in his outing. The Orioles kept things close until the latter third of the game as San Francisco, with a 4-3 lead, scored twice in the eighth inning to decide the game. Boy, wouldn’t Aubrey Huff look good in an Oriole uniform right now. He went 3-for-4 with a homer yesterday and for a guy who got no other offers from the other 29 teams in Major League Baseball this offseason, Huff is sure having a nice, bounce-back year. Of course, once again the Baltimore offense was the problem and yesterday’s game was a microcosm of why they are where they are. The Orioles managed eleven hits, got seventeen runners on base and over-and-over again throughout the game had a chance to tie or break things open; however, they were a putrid 3-for-14 with men in scoring position. Baltimore is now 18-48, a sad 30 games under .500 and on pace to become one of the worst baseball teams to ever take the field in recent memory. The result on Wednesday on left coast is a big, big reason why. Pitcher Jake Arrieta came through again for the Baltimore Orioles on the left coast and helped them cruise to their 18th win of the season by defeating the San Francisco Giants, 4-1. With the win, the Orioles snapped a painful 4-game losing streak. 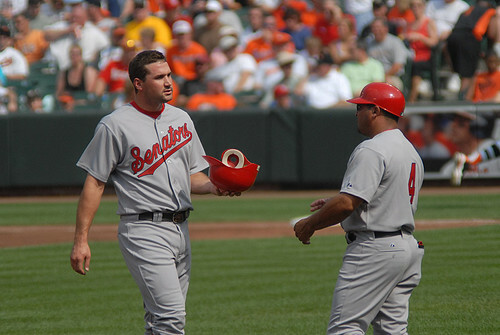 Ty Wigginton drove in two runs with RBI-groundouts (one in the first inning, and in the third) and Adam Jones – who is bouncing back after a horrific start to the season – hit his 8th homer of the season in the fourth inning. 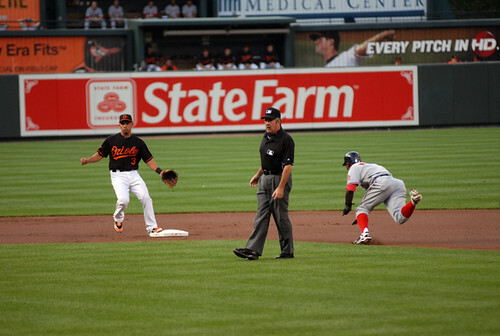 The Orioles scored another run off a double play in the fifth to finish the scoring on the evening. Back to Arrieta: He went seven innings for the win and gave up only a run on Tuesday night for his second major league victory. His only mistake was giving up a long solo homer to ‘Kung-Fu Panda’ Pablo Sandoval in the third inning. 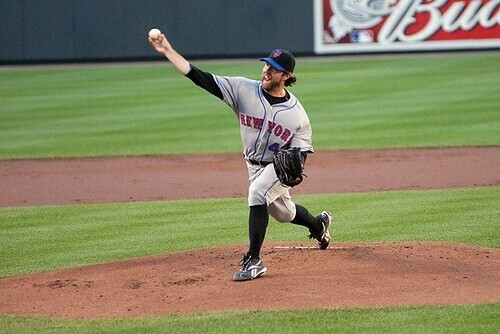 Other than that, he was efficient on the evening, throwing 95 pitches in his outing. He only gave up three hits on the night, struck out three and walked two. Unlike a lot of the pitching we have seen this past month from Baltimore, he got ahead of the hitters, was aggressive and the end result was a great outing – perhaps one of the best from an Oriole pitcher this season. David Hernandez got his second save of the season by pitching a scoreless ninth inning. Right now, I’d prefer to see him in that spot than Alfredo Simon. Meanwhile, on the injury front: I’ll would not be surprised if Brian Roberts doesn’t play baseball again this season. From my experience, back issues are tricky and I was shocked Roberts made it to Opening Day before he got hurt. The Orioles started a 6-game, 2-city road trip that kicked off against the San Francisco Giants on the left coast last night. Unfortunately, much like a recurring scene that has taken place over and over again this season, yet another Oriole starting pitcher got himself in trouble early and literally buried his team before the game ever got going. Baltimore lost for an astounding 47th time in 64 games as San Francisco won in a laugher, 10-2. Chris Tillman, before his callup has been succeeding in Triple-A Norfolk, took the loss again – his second of the year at the major league level. He didn’t look good at all as he gave up six runs in two innings of work, including a five-run second inning highlighted by a Pat Burrell (yes, the man cut by the Rays). Jason Berken, who has held in own in relief for Baltimore this season, and Matt Albers each pitched two scoreless innings to stop the bleeding; however, the Giants busted the game open in the eighth by scoring four times off reliever Frank Mata. Matt Wieters hit a absolute bomb – a solo homer – to left-center field in the second inning and Ty Wigginton had an RBI-double in the eighth, but that was all the offense Baltimore got. Once again, the Orioles made another pitcher from the opposition look like an All-Star. Pitcher Jonathan Sanchez easily got the win as he gave up two runs on 7 2/3 innngs of work. Pretty much sums it up right now.. The Ship is sinking...God's away on business. 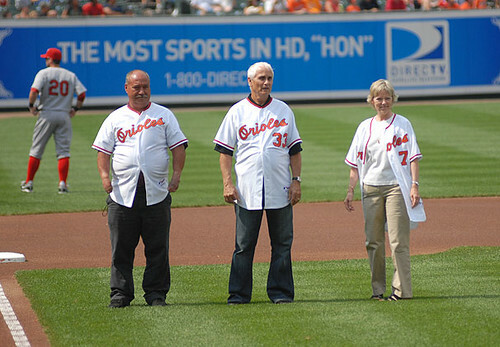 On Saturday night, the Orioles lost for the 45th time in 2010 as they lost to the New York Mets, 3-1. The Orioles once again could not get their offense going – again – despite seven hits on the night. 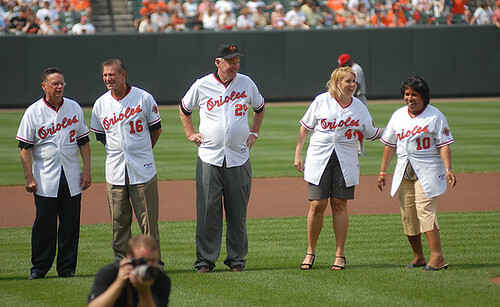 They also could not give any support to Brian Matusz, who took the loss and went eight innings in the outing. He would allow three earned runs, strike out four and walk none. Baltimore could not get past New York starting pitcher Hisanori Takahashi. Well, it would not be due to Takahashi being that much superior to Matusz – it was the fact the Orioles once again could not score with runners in scoring position. The Orioles seemingly had runners on the base most of the game, but could do much more than that. They were only 1-for-10 in those situations and that perhaps cost the Orioles more than anything. The Mets took an early 1-0 lead in the first inning off a Jose Reyes leadoff homer; however, the Orioles struck back in the bottom of the inning as Nick Markakis plated in Corey Patterson with a ground-rule RBI-double. For the Orioles, the more things have changed – the more they have stayed the same. We are nine games into the Juan Samuel era and it looks like a carbon copy of the Dave Trembley regime. They look just seemed overwhelmed, overmatched and out gunned at the moment. 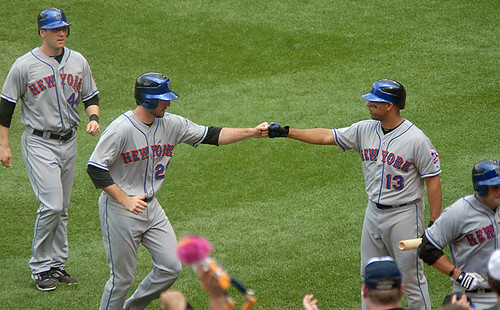 On Sunday, Baltimore got swept by the other New York team – the Mets – with an 11-4 loss during a steamy afternoon. The New Yorkers used the long ball to down the Birds and send them to their 46th loss in 63 games. Purported Orioles’ ace Kevin Milwood lost his eighth game of the season as he gave up five runs in a horrific first inning. Really, they lost the game within the first 15 minutes as he gave up a two-run homer to David and a three-run shot to Chris Carter. 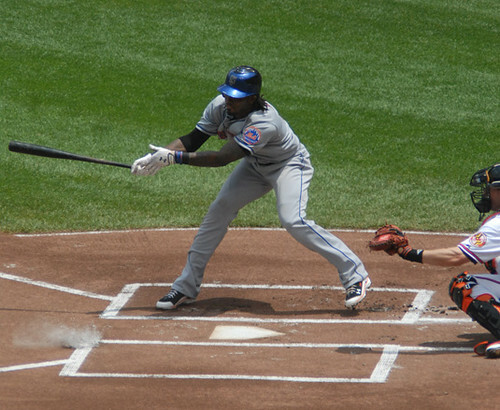 The Orioles managed to score twice in the second inning and once in the third to come within two of the lead, 5-3; however, the Mets continued to being the pain throughout the afternoon. 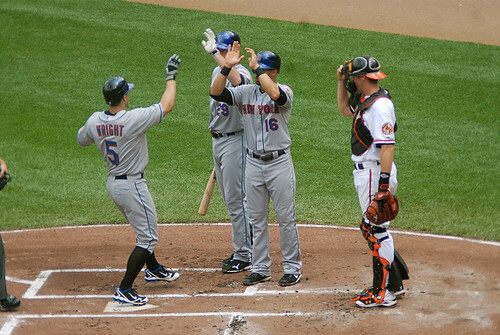 Jason Bay added a two-run homer in the fifth inning and Wright struck again in the seventh with a two-run shot (his second of the day). 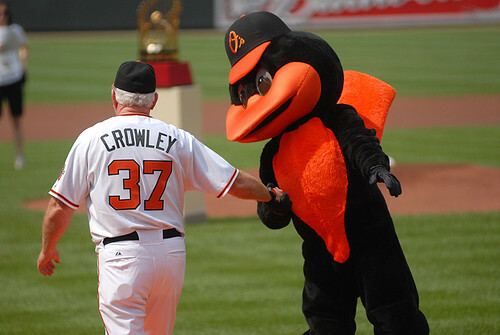 Well, it looks like the Orioles are already moving ahead with interviews with the managerial job not more than a week after Dave Trembley was released. From the looks of it, Bobby Valentine is in town today to talk about the job, and the organization has already interviewed someone - former Cleveland manager Eric Wedge. In a season full of injuries, losses and bad news all around, the Orioles really needed something positive to happen this month. Last night, Jake Arrieta made his major league debut at Oriole Park at Camden Yards and had a tall order facing the World Champion New York Yankees. In the end, the Orioles defeated the Yankees, 4-3, avoiding a three-game sweep and Arrieta earned his first win in the big leagues. 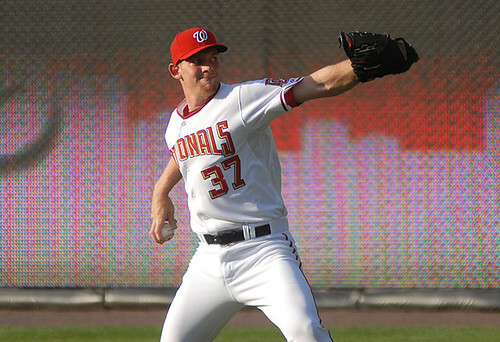 Although Jake's start didn't get even the scant amount of attention that Stephen Strasburg got in the Mid-Atlantic region, he held his own, going six innings, giving up three runs on four hits. Arrieta struck out six and walked four. Arrieta's outing was by no means perfect -- in fact, I think he could have been lit up a few times -- however, he managed to work out of jams, and perhaps saved the Orioles as he struck out Marcus Thames with the bases loaded in the sixth inning. New York scored once in the second inning off Arrieta, and twice in the third, but didn't do any damage after that. Another young player who stepped to the challenge was former starter David Hernandez, who closed out the game and earned his first major league save. With a taxed Baltimore bullpen, Hernandez came in a preserved a slim one-run lead to finish things up on Thursday. The Baltimore offense came through and sent New York starting pitcher A.J. Burnett to a loss. He went 6 2/3 innings and gave up four runs - all earned. Tonight, the Orioles lost 4-2 to the Yankees on a rainy, dreary night at Camden Yards. 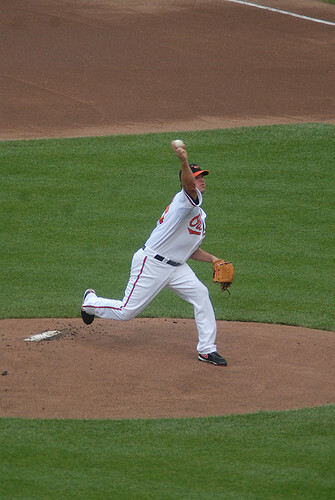 The numbers may show that pitcher Chris Tillman pitched well despite the loss; however, he was hurt by his defense - which committed three errors - and found himself in jams at times. Of course, C.C. Sabathia came through for the Bronx Bombers against the Birds. He went seven innings and gave up two runs on the night, earning the win. 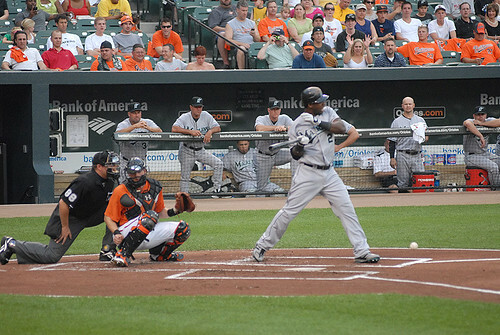 Baltimore took a 2-0 lead - an RBI-single from Garrett Atkins in the second and Jones in the third; however, the Yankees scored in the fourth, twice in the sixth, and once again in the eighth inning. The Orioles managed ten hits on the night, but left ten on base and could not at all get the big ones needed to give them the advantage. Now Baltimore is 16-43 and their death spiral seems to have no end. Amazingly, Jake Arrieta is making his major league debut against the New York Yankees on Thursday night. I don't know if I would have had him start against the Yankees - keep in mind, Washington had Stephen Strasburg face Pittsburgh - but I guess the team needs all the pitching help they can get. Unless you've been under a rock the past week, you know that young phenom Stephen Strasburg made his major league debut down in Washington last night. While the Orioles sadly got pounded -- again -- by the Evil Empire as mentioned by James in his earlier post in Charm City; meanwhile, down the parkway in Washington, Strasburg lived up to the hype and more. I live about halfway in between Washington and Baltimore, so I decided to head down there since I was offered an extra ticket in a real nice location in the seating bowl. Anyhow, going to Nationals Park many, many times in the past as fan who wanted to see the National League, it has always been a fairly good experience -- however, rather tame and lacking in life. That was not the case on Tuesday. 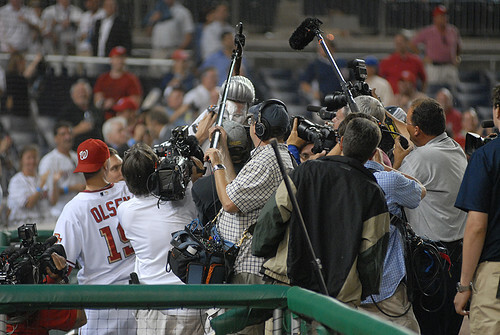 Although this was a regular season game where the Nationals played the Pirates, you would have never known it based the media presence down there. You would have thought a playoff game was taking place based on the buzz and the fans. Coming down to Washington for this game was worth the price of admission and more. 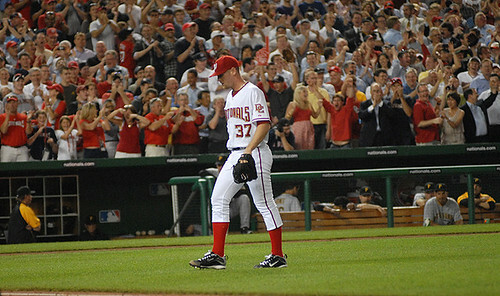 The crowd was hanging on every pitch, and did Strasburg ever perform on a huge stage. I've never seen a young man on the mound show such poise and competitiveness at such a stage in his development as a major league player. His fastball was vicious, but I was even more impressed with his use of his off-speed pitches - especially his curveball and change-up. 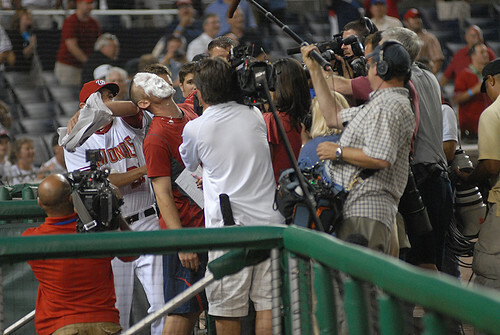 At times (especially towards the end of his outing), Strasburg made it seem that he was a man facing some boys. One game may not make a career; however, if Strasburg's performance is any indication to his potential (God willing he stays healthy), a star is going to be born. What Happens After The Yankee Series?